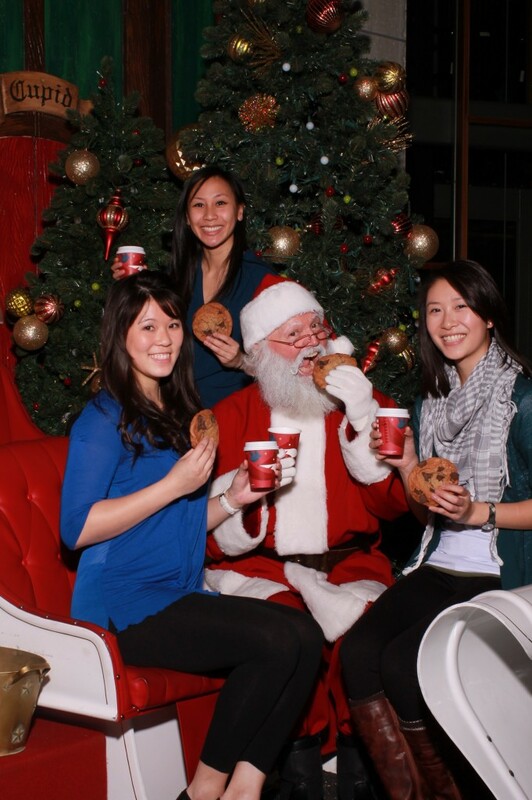 Thank you for including us in your holiday traditions! Q: How many Christmas trees are sold each year? A: Thirty-seven million fresh Christmas trees are sold each year. Q: What state first recognized Christmas as an official holiday? 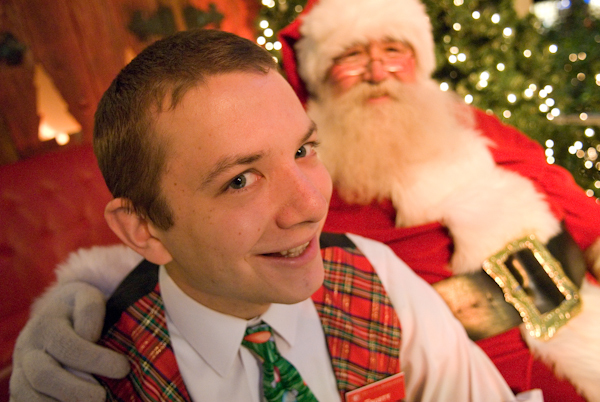 A: Alabama was the first state to recognize Christmas as an official holiday, starting in 1836. Q: How many candy canes are made each year? 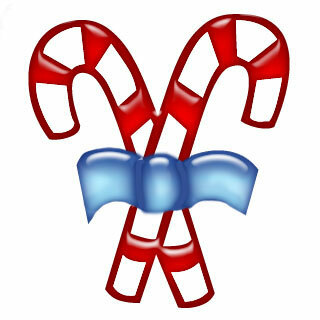 A: More than 1.76 billion candy canes are made annually for the Christmas season. Q: Why do Barnum’s animal crackers have a string handle? A: Barnum’s animal crackers in the circus-themed box were designed with a string handle so they could hang on a Christmas tree. A: Sugarplums are actually chocolate candies with cream, fruit preserves, or other sweet fillings inside. A: Wassail is a beverage dating back to the Middle Ages. The word is derived from the Old Norse ves heill, meaning “in good health.” This evolved into visiting neighbors on Christmas Eve and drinking to their health.Traditional wassail contained ale, wine, or hard cider topped with beaten eggs or stale bread. Modern recipes for wassail use hot apple cider simmered with spices and sweetened with honey. Q: Why are candy canes bent? A: In 1670, a choirmaster in Cologne, Germany, bent the ends to resemble a shepherd’s staff and handed them out to children during church services to keep them quiet. In the early 1900s, candy canes acquired their famous stripes. 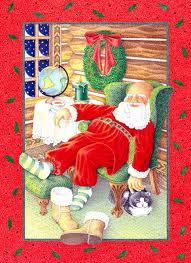 The first candy canes were straight, white sticks of sugar candy used as Christmas tree decorations. Q: Why do people eat mincemeat pie on Christmas? A: Eating mincemeat pie on Christmas dates back to the 16th century. Traditionally, it was thought that eating a small pie on each of the 12 days of Christmas would bring good luck in the New Year. What Types of Materials were used to Wrap Gifts in the 1900s? Believe it or not, Christmas gifts haven’t always been presented wrapped in pretty paper. In the early days, toys and candies were dangled from the Christmas tree. In the early 1900s, presents were wrapped in white tissue paper and red satin ribbon, with a bit of holly or fresh pine tucked into the ribbon. Straight pins were used to hold the paper together until tape became the standard. Who doesn’t love hanging mistletoe? Although most mistletoe is parasitic, and, therefore, harmful to the trees on which it grows, the Celts thought it had magical powers for healing wounds and increasing fertility, so they placed it throughout their homes for good luck and to ward off evil spirits. 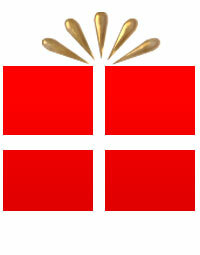 In ancient Britain, mistletoe was considered so sacred that it could only be cut with a golden sickle. Today, Americans decorate door frames with this plant in hopes of catching a smooch from a sweetheart while standing under its leaves. This tradition is credited to Frigga, the Scandinavian goddess of love and beauty, and is said to date back to the eighth century. 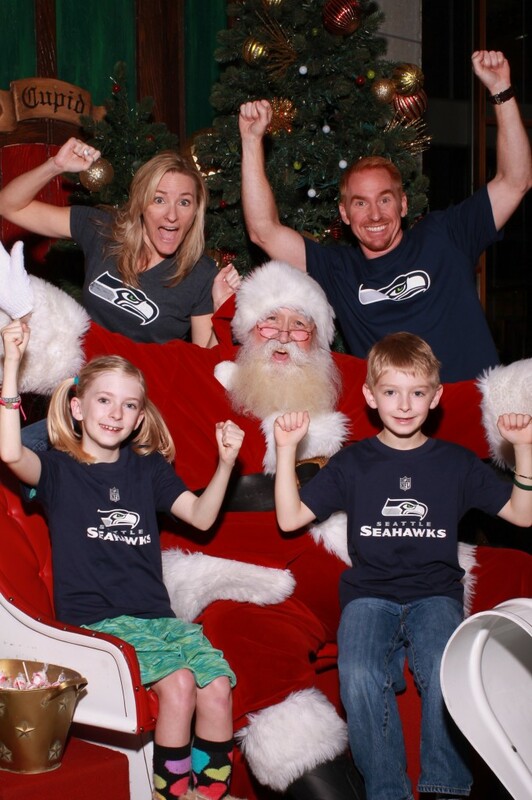 We love a family that shows their team spirit! Some bring other things they love! 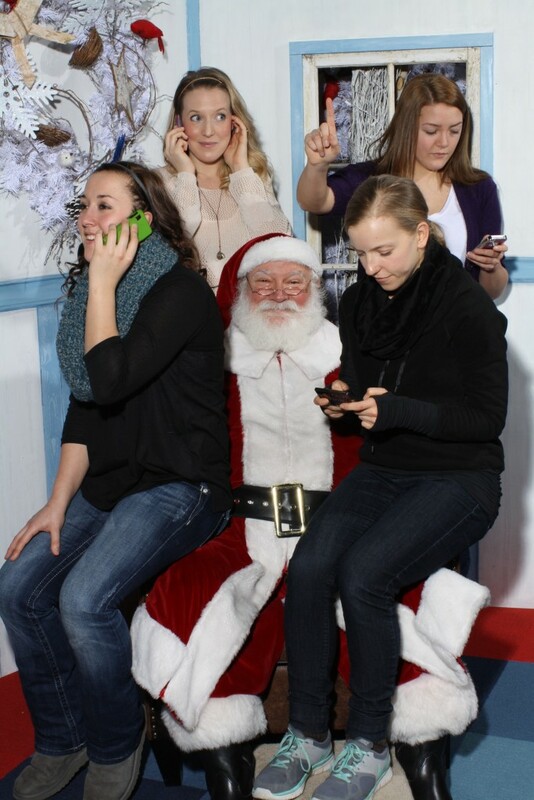 Glad these multi-taskers took the time to stop by Pacific Place to see Santa! The most frequently requested present this year? Any guesses? 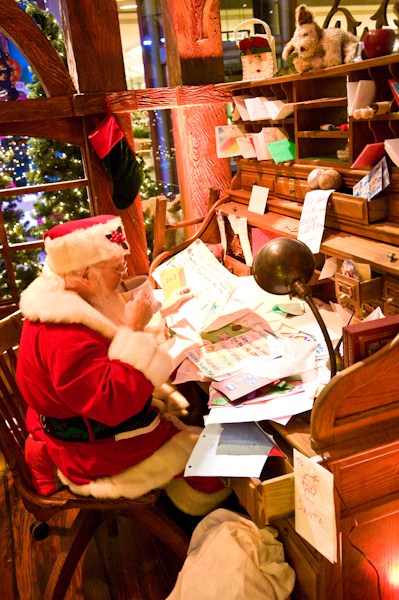 Jean-Guy Laquerre of Boucherville, Quebec, Canada, is an avid Father Christmas collector, with more than 13,000 items collected since 1988. The collecting bug bit when his aunt died and left him a 12-inch-high antique papier-mâché Santa Claus from the 1920s. 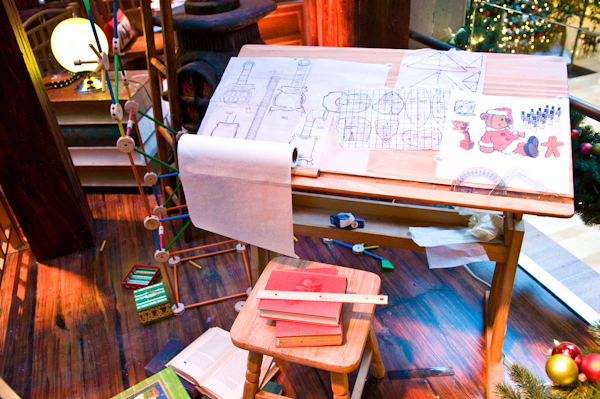 Since then, he has added objects such as music boxes, yo-yos, photos, candle holders, and pens.